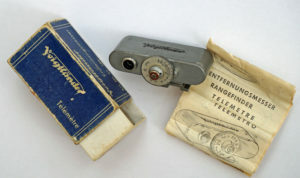 Beside the actual cameras themselves there are many accessories that are collectable. There are darkroom accessories (enlargers, tanks), slide projectors etc. 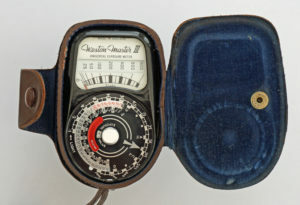 However, the easiest to collect, on account of size, are camera accessories such as light-meters and rangefinders. I seem to have acquired two of these rangefinders – both in feet. They fit nicely in to the flash shoe on viewfinder cameras, giving an instant rangefinder capability. One of them is marked with its price – £2-18-0 – although I don’t know if this was the price new or second-hand at a later (but pre-1971) date. Both examples still work fine. 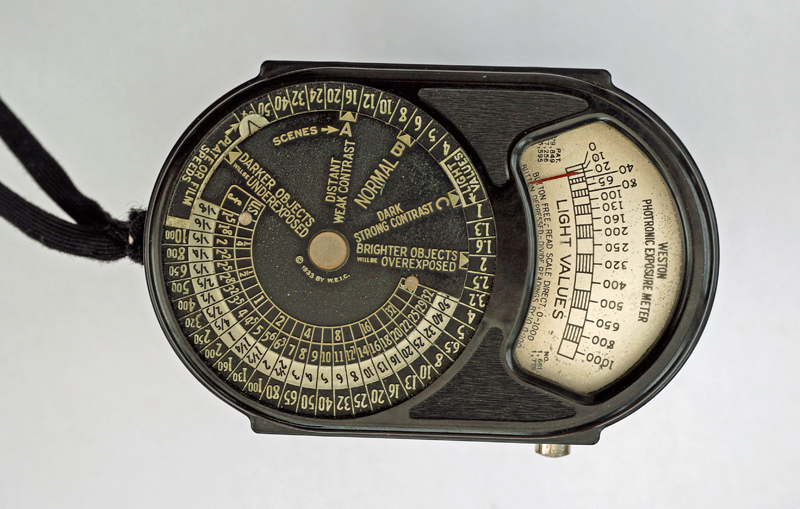 This exposure meter is still spot-on, and I use it as my main meter when shooting antique cameras. Unlike the US-made versions this is calibrated in ‘Weston’ ratings, not ASA. According to the meter itself, this was distributed in the UK by Ilford, so it’s appropriate that I use it when shooting my Ilford Advocate. 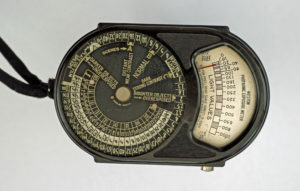 A beautifully-made meter, that unfortunately seems a bit unresponsive.